If you’re sporting the bearded look, you want a cost-effective way to keep your facial hair well-groomed. Whether it’s for work or play, or both – you need a beard trimming tool that will have you looking your best. But not everyone has the money to buy expensive grooming tools. And as you’ve probably already discovered, beard trimmers and shavers can be quite expensive. The question then is, is it possible to get a really good quality and reliable trimmer – one that’s affordable and able to compete with top of the line beard trimmers – without spending a ton of money on one? In other words, what’s the very best cheap beard trimmer you can buy, without sacrificing quality? My answer, dear bearded fellow, is yes, you can buy a low-priced beard trimmer that has the cutting power, build quality, and accessories that you’d find in higher priced premium trimmers. And today, I’ll be discussing how to get your hands on one, by going over our top 3 beard trimmers – all well under £50 – and how we went about choosing them. One of the most important grooming tools that every man with a beard should possess is an electric beard trimmer. There are loads out there to choose from, and costs vary significantly – some even costing more than £100. But you don’t need to break the bank to get great cutting, grooming, and styling results at home. So, without further ado, I will list out some of the best budget trimmers available to buy online – you could have one in your hand by tomorrow, that generally cost less than £50. Though the actual price may vary depending upon the time you see the offer, but were accurate at the time of writing. The list is in order of importance, with the best recommend product mentioned first. First up on the list we present to you the Braun MGK3020 Multi Grooming Kit. 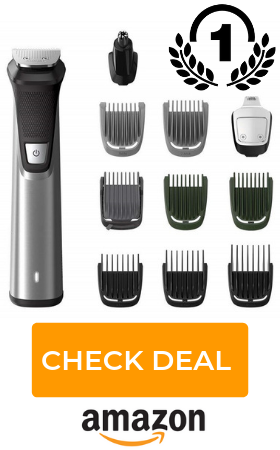 The cool thing about this is that it’s so much more than just a low-cost beard trimmer, because it has multiple hair trimming functions that allows you to trim and style your beard, cut the hair on your head, and even trim nose and ear hair – all in a single, affordable, package. With 6 clever attachments, you’re able to perform different grooming tasks, with precision. It is perfect for crafting the perfect stubble, trimming down a full beard, shaping styles like goatee and moustache, and head hair, and removes ear and nose hairs without painful tugging. It’s exceptional cutting power comes from the strong internal motor that works in synergy with the superlative-sharp blades, made from the stainless steel. This makes for effortless cutting, even on thick, dense hair, and it’s washable under running water. It is super easy to use and you can easily add or remove the various attachments. The quality is also very good for the price, considering this is a Braun manufactured machine, with many positive reviews reflecting its performance and reliability. It will last for years when used carefully. It is a fully cordless trimmer and can run up to 40+ minutes on a full battery. It is also highly customizable, you can choose among the 13 precision length settings which can be shifted between in 2 mm steps. The only mild downside of this product is that it does not come with a UK 3-pin plug, so us UK dwelling men will need to buy an adapter, but there’s super cheap, you can usually pick them up in pound shops, or cheaply from places like eBay and Amazon. 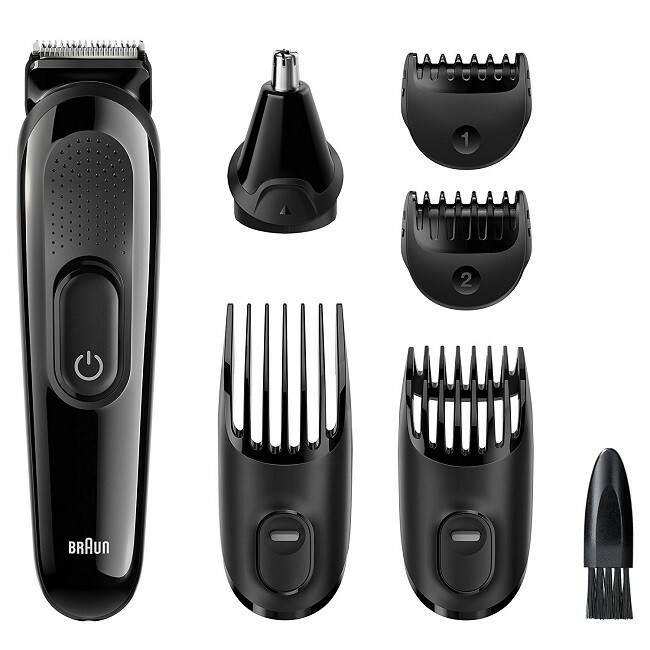 The Braun MGK3020 multi trimmer comes with a charger and cable, and has a feature that automatically adjusts to any voltage input* (100V – 240V*), making it suitable for use in different countries where they might have different voltages from the electrical socket. BaByliss Precision is my second recommended tool for trimming your beard, without spending a small fortune. 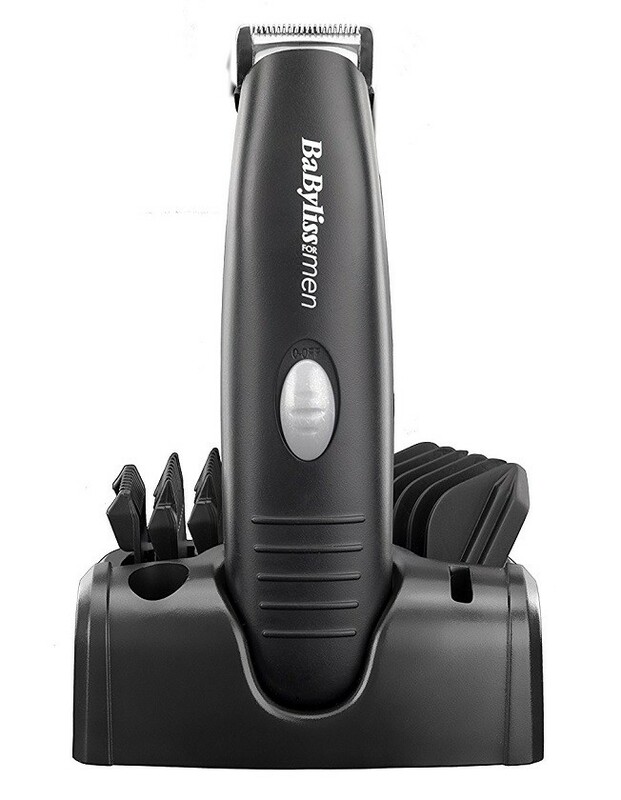 This trimmer has precision honed, strong, and sharp blades which enables smooth and fast cutting of facial hair. It costs less than the previous Braun trimmer, and for the price it is a great little product. In fact, I bought this trimmer as a gift for my dad on Father’s Day – he loves the thing, and refuses to upgrade, and believe me, I’ve tried to convince him, but he swears by it. It comes with a three-year manufacturer guarantee, so you don’t need to worry about the product breaking down on you. It comes from BaByliss which is a highly respectable brand in the men’s grooming market. You can adjust the sharpness and precision of the blade as per your preferences. It is small which makes it great to take along while travelling, and storing. Overall, it works great and comes with 2 AA batteries in the box, which is handy to get you started right away. Though these batteries will need replacing, it does give you the ability to fit long lasting, Alkaline batteries. The only negative of this product is that it is not as precise as a beard trimmer should be, but it can work great if you are ok with little bit imperfection for lower price. Finally, Remington Barba Beard Trimmer is the one I rate highly. It is the perfect combination of low cost, high quality and easy to use. It comes with a long manufacturer guarantee and is ones of the best-selling beard trimmers on Amazon. You can maintain almost any type of beard with this inexpensive device. It comes from the Remington brand which is a division of Spectrum holdings, Inc. The company is more than 80 years old and is known for making highly innovative products in the personal care industry. It has nine different length options which helps you trim your beard with ease. It also has a useful side trimmer. It works in both corded form as well as cordless form. It is rechargeable and works for about 30 – 40 minutes of continuous cutting after it is fully charged. It does not require much maintenance. You just need to keep it clean and charge it regularly. To make the job easier, it comes with a cleaning brush and an instruction booklet in which you can find all the information for maintaining it for years. Though this is a basic trimmer, it does the job, and does it well – and it’s been selling for almost 10 years now, without much change to the initial, successful design. So, if you are about to buy a beard trimmer for this first time, then this section will be helpful for you. Feel free to skip this section if you are already a very experienced with using beard trimmers. For the rest of you, here are the four most important things that you need to consider when buying a beard trimmer. 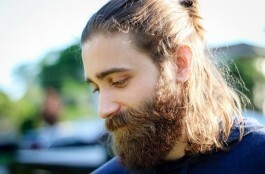 Beard length – what kind of beard do you want to maintain – short, long, medium or stubble? Different trimmers have different length settings so knowing about the beard length will help you make the right choice. Think about the length setting, and guide combs that it might have. 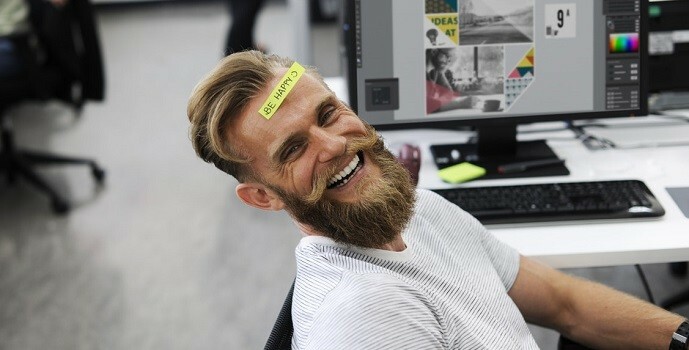 Purpose – Some trimmers only work for beard trimming while others can work for range or tasks like head, ear, nose and other parts of body. Are you looking for an all-round trimmer, or just the beard? Features – What other features does the trimmer offer? Beard trimmers offer a variety of features and many of those are quite useful to have. For example, do you want built in rechargeable battery or disposable battery, travel case or charging stand? Corded or cordless – Find out if the beard trimmer you are looking to buy is corded or cordless. Corded one is preferred because you can use it for longer time. Buy one which takes less time to charge and lasts longer. There you have it, my top three choices of great little beard trimmer all under £50. This list is greatly useful for anyone who has a limited budget and wants to maintain his beard in an affordable way. These are some of the best and most popular products that you can get at this limited price point. But low price does not have to mean low quality, that’s the purpose behind creating this list. So many guys are under the misapprehension that ‘you get what you pay for’ when it comes to buying a beard trimmer, but you really don’t need to go all-out and spend an arm-and-a-leg to get great, long lasting results. These are my top choices for best and low-cost beard trimmers. If you are on a tight budget then these. Each of these products have different features and which one you choose will depend upon your unique needs. One thing that I can say about these trimmers is that they all provide a very good value for your money. 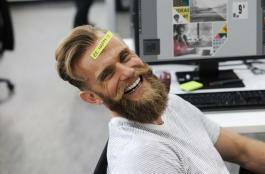 You need to have realistic expectations about these products and realize that they may not have all the features that you find in expensive beard trimmers.